Bridges Academy is in its eighth year as a dependent Charter School in Franklin-McKinley School District. It is located in the northeast section of San Jose and is one of sixteen schools in the Franklin-McKinley School District It has a multi-ethnic and diverse student population, with the majority of our 500 seventh and eighth grade students coming from Hispanic and Asian backgrounds. Bridges Academy also has an experienced, dedicated, and qualified middle school staff, who provides a rich educational environment that challenges students to think critically, solve complex problems, express themselves articulately and work cooperatively. Bridges Academy's goal is to ensure that all students receive a comprehensive middle school program, which includes Math, English-Language Arts, Science, Social Studies, Physical Education and Electives. Students can choose from the following elective offerings: Robotics, MESA (Math, Engineering and Science Association), Spanish, Band, Chorus, Art, Accelerated Reader, AVID (Advancement Via Individual Determination), and Leadership. Bridges Academy's programs are designed to meet individual student's academic needs. Interventions include scheduled English Language Arts, ELD and Math classes. Learn more about Bridges Academy here. The Franklin-McKinley School District in partnership with East Side Union High School District and Evergreen Valley College opened a Partnership School, grades 7 – 12/13 in the fall of 2008. College Connection Academy has the same autonomy and freedom to deal with curriculum, teaching and learning that students at a Charter School receive. The Partners (the three districts) have combined and integrated their resources to make the Academy successful. 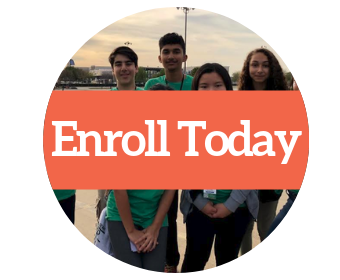 The College Connection Academy is an unprecedented award-winning collaborative effort between the Franklin-McKinley School, East Side Union High School District, Evergreen Valley College, and San Jose State University. Our goal is to elevate, inspire and support students to become highly successful in college. The result of the collaborative undertaking was the opening of the College Connection Academy (CCA), a 7-12 program housed on the Yerba Buena High School site and at Evergreen Community College. The four academic partners have combined and integrated their resources to make the Academy successful. Learn more about College Connection Academy here. Sylvandale Middle School is part of the Franklin-McKinley School District. We set high expectations for all students, staff, and administration. We focus on student learning and provide authentic, rigorous, and relevant material in our classrooms. We will be Respectful, Responsible and Safe at all times. The Career Academies at Sylvandale Middle School are small learning communities offering a pre-college preparatory curriculum with a focus on health, information technology, and humanities. Within each Academy, students complete a traditional course of work and participate in a variety of enrichment activities, gaining skills as well as exposure to a variety of career opportunities. Highly qualified teachers from different subjects work closely together, creating a challenging and engaging environment where close student-teacher relationships are formed. Each Career Academy is a two year program. Students are expected to remain in their chosen Academy for the full two years. Students take the required core courses with a focus on the career theme of their particular Academy. Academic courses are at grade level with support intervention, if needed. Learn more about Sylvandale Middle School here.